A message from our President and Dealer Principal, Ty Bullard, on what we believe are the reasons people choose to work with Joe Bullard when it comes to buying or servicing a car. We’re local and we’re family. This means someone who cares will answer the phone, listen to you and take ownership of whatever it is you may need or want, every time. We choose to do the right thing because it’s the right thing to do. We don’t allow consequences to determine how we treat our customers. The first generation Bullard believed the right choice is always clear. He instilled that core value into this company and now, in our third generation, that’s what we’ll do every time, no exceptions. With multiple brands and locations, we’re able to broaden our scope and expertise to provide you with more options and solutions that a single store wouldn’t be able to offer. 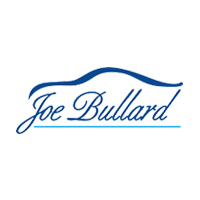 Dependability at Joe Bullard I am Joe Bullard – Lee Dell Scarborough Spouses are a Big Part of the Joe Bullard Family. Mrs. Pam Pittman at INFINITI of Mobile Roosevelt Harris is Joe Bullard What is Joe Bullard?